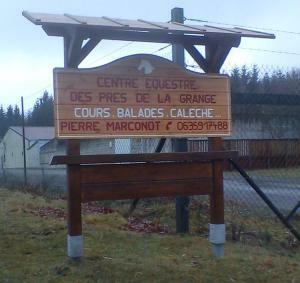 The riding school Prés de la Grange offers everyday poney and horse rides (one or two hours). Please book the ride during the week. Rides in the snow, at the lake of champagne, in case of good weather. Hikes for half a day, or even the entire day, to Ronchamp, Giromagny, Auxelles-Haut (or elsewhere). Make a phone reservation before coming, as the owners are often busy with the horses outside. The Vosges Saônoises Equestrian Association( REVS) can also help you organise your hacks.